I hope that you all had a Happy Easter! I definitely did. It ended up being pretty tiring, but I was able to cook and take engagement pictures for my friends. It was beautiful outside, sunny with a light breeze, so it was nice to do some good deeds and hang out with some of my acquired family here in Florida. It was also nice to express my creativity a little. Since I started law school, this blog has pretty much been the only place where I get to be creative in my everyday life, so I was very happy that I had the opportunity to take some pretty photos yesterday. Getting back into everything today was a little rough, but I'm currently lounging outside on my patio enjoying some delicious food. The next few weeks are going to be pretty crazy around here. The semester's starting to wind down, which really only means that there are lots of tests, papers, and presentations looming in my near future. The nice part about it is that graduation is coming up, and then I only have one more big step before becoming a real, grown-up attorney...passing the Bar Exam. It's been a long road, but I'm beginning to see the light at the end of the tunnel. It's all very exciting. If you've been on my blog at all recently, you can probably tell that I have been on a spicy kick lately. I got home from work late and was starving, so I figured a quick and hearty pasta would do the trick. 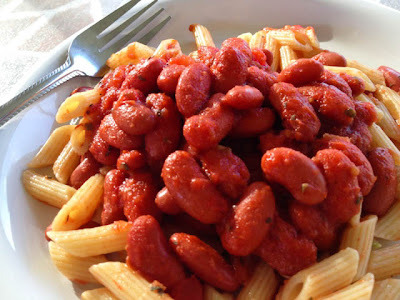 I love Cajun spices, and I was craving kidney beans....so I mixed the two with some tomato sauce, and voila! I ended up with a spicy and flavorful pasta dish in less than 20 minutes. This is perfect for any time, but it's especially perfect for nights when you're starving and just want to get out on your patio to enjoy the gorgeous Spring weather. 1. Pour 1 tsp. of the sea salt in a large pot of water. Pour the pasta in and stir. Add the chopped garlic, and continue cooking according to package directions. 2. 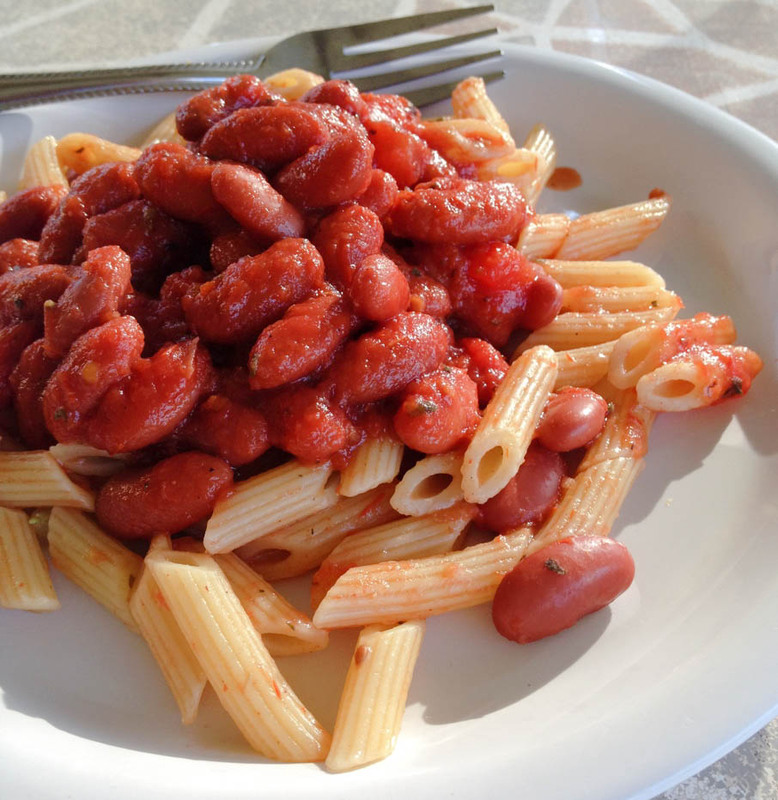 While the pasta is cooking, add the kidney beans, remaining 1/4 tsp. of salt, Cajun seasoning, black pepper, and basil to a medium saucepan. Cook on medium heat for about 5 minutes, and then stir in the tomato sauce. 3. Cook the sauce and beans on medium heat for 5 to 7 minutes. It should thicken. Turn the heat down to medium-low if the sauce begins to splatter. 4. Once the pasta is ready, strain it and return it to the pot. Add in half of the sauce and stir. Top with the remaining sauce and serve. I'm so excited for you that the end is nearly here with your studying and qualifications :) I hope this last stretch goes smoothly! This dish looks fantastic too, and perfect for our weather cooling down. Thanks. It's going. That's for sure. Haha, and the dish was way more delicious than I thought it would be! I feel like I'm constantly on a spicy kick so this pasta sounds perfect to satisfy my endless cravings! Good luck on your exams! Yes! It's super yummy (and hearty too).